Gotham was founded in 2017 based upon the ground-breaking work of its co-founder, Professor Samie Jaffrey, a pioneer in the field of epitranscriptomics. In addition to that, the company has attracted a number of key opinion leaders in the space. Dr. Samie Jaffrey is the Greenberg-Starr Professor in the Department of Pharmacology at the Weill Cornell Medicine. He received an M.D. and Ph.D. in 1999 from Johns Hopkins School of Medicine where he also conducted postdoctoral research. Dr. Jaffrey’s work has fundamentally advanced our understanding of RNA biology and gene regulation. His lab developed genetically encoded fluorescent RNAs for imaging RNA localization and trafficking in live cells, including the Spinach-tagged RNAs. He has extended this technology to create a new class of genetically encoded biosensors composed of RNA that allows signaling molecules to be imaged in living cells. Most recently, he has helped to launch the field of “epitranscriptomics,” which relates to the diverse nucleotide modifications that impact the fate and function of mRNA and long noncoding RNAs in cells. Dr. Jaffrey’s transcriptome-wide mapping of N6-methyladenosine (m6A) in 2012 revealed that m6A is a pervasive modification in the transcriptome, thereby identifying this modification as a fundamentally novel form post-transcriptional mRNA regulation. Since this seminal study, Dr. Jaffrey mapped dimethyladenosine (m6Am) and established functions of m6A and m6Am as well as m6A and m6Am reader, writer, and eraser proteins. Dr. Jaffrey’s is an elected member of the American Society for Clinical Investigation, and the recipient of the 2017 John J. Abel Award in Pharmacology, Klingenstein Neuroscience Award, Irma T. Hirschl Scholar Award, the McKnight Foundation Technology Development Award, NIH EUREKA Award, the NIH Director’s Transformative R01 Award, the 2013 Blavatnik Award for Young Scientists, and the 2014 American Society for Biochemistry and Molecular Biology Young Investigator Award. 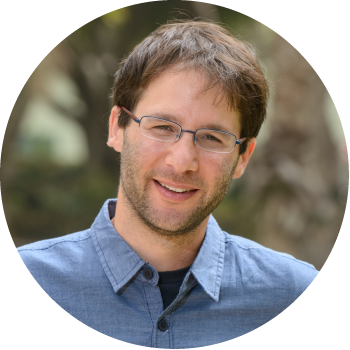 Dr. Schraga Schwartz is currently group leader at the Department of Molecular Genetics at the Weizmann Institute of Science. His lab focuses on deciphering the roles played by post-transcriptional modifications on RNA. By combining molecular approaches with tailored computational analyses, Dr. Schwartz’s lab has pioneered methodologies allowing the systematic mapping and quantification of diverse RNA modifications and is currently focusing on exploring their roles and mechanisms of action. Before that, he spent four years as a post-doc at the Broad Institute under the joint supervision of Aviv Regev and Eric Lander. Thomas Tuschl, Ph.D. is a Professor and Head of the Laboratory of RNA Molecular Biology at The Rockefeller University. Dr. Tuschl is a leader in nucleic acid biochemistry and regulatory RNA biology. He discovered most of the mammalian microRNA genes and has developed methods for characterization of small RNAs and their regulatory targets. Before joining Rockefeller University in 2003, he was a junior investigator at the Max Planck Institute for Biophysical Chemistry. He is a founder and member of the Scientific Advisory Board at Alnylam Pharmaceuticals and an advisor at Regulus Therapeutics. Dr. Tuschl holds a Maîtrise in Chemistry from the Université Joseph Fourier, a Diploma in Chemistry from the University of Regensburg, and a Ph.D. in Chemistry from the Max Planck Institute for Experimental Medicine and University of Regensburg. He completed his postdoc at the Massachusetts Institute of Technology and Whitehead Institute for Biomedical Research. Dr. Tuschl has won numerous awards for his work, including the Wiley Prize. Dr. Andrew Mortlock is acting in a dual role as CSO of Acerta Pharma, AstraZeneca’s “Hematologic Oncology Center of Excellence”, and as Vice President, Global Oncology Combinations, IMED Oncology at AstraZeneca, where he is responsible for the development of combinations and innovative oncology trials. Over 25 years in roles of increasing responsibility at AstraZeneca, he was previously responsible for AstraZeneca’s small molecule oncology projects from start of lead optimization through to the end of Phase IIb clinical studies. With a strong pre-clinical background, he previously led the Oncology research group at Alderley Park (UK) and Reims (France) which included chemistry, bioscience and drug metabolism. He brings a wealth of medicinal chemistry, global development and project leadership experience involving kinase, protease, integrin, GPCR, nuclear hormone receptor and protein-protein interaction targets. Dr. Mortlock holds a first degree in chemistry and a PhD in organic chemistry from the University of Oxford and carried out post-doctoral work at the University of California, Berkeley. He has been an author on more than 50 scientific papers, patents and presentations.